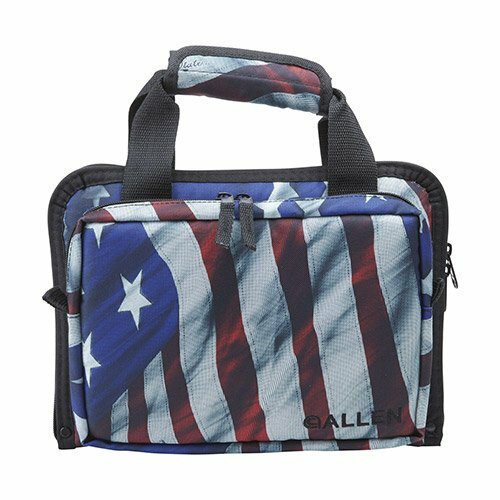 Made in the USA, the Victory Duplex Handgun Case fits two handguns and shows your support for the 2nd Amendment with a stars and stripes pattern. The exterior is made from rugged Endura fabric, and the interior has a soft knit lining. The case also features thick foam padding and internal organization for your magazines, as well as a padded hook and loop carry handle. Lockable.